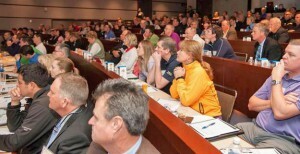 A relatively unheralded event took place prior to the beginning of the PGA Merchandise Show last week in Orlando named the Youth & Family Golf Summit with the simple and straight forward goal of drawing attention to the two segments of the population that are the key to increasing the number of people participating in golf.Timing of the Summit, the first ever held, coincided with the Merchandise Show since industry leaders from around the world would already be in Orlando. Supported by U.S. Kids Golf, speakers and discussions centered on how PGA Professionals, the people actually running golf clubs day to day, can attract children and families to their facilities and teach them the fundamentals of the game. Ted Bishop, current president of the PGA of America in his opening comments to the over 200 in attendance urged them to find proven programs, “best practices,” they could put to use upon returning to their respective facilities. In addition they should work to branch out into the community using fun and exciting programs for people of all interests. “My hope for each of you is that you leave here inspired and willing to think outside the box. Don’t be afraid to try something new,” said Bishop. Besides the United States and Canada there were professionals from other countries including Emanuel Kasio who is the director of “Golf For Kids” in Nairobi, Kenya. “This Summit has been way beyond my expectations. I’m overwhelmed by each of the unique presentations and the incredible people I’ve met already today,” said Kasio. The Youth & Family Golf Summit was the idea of Chairman Rick Murphy who recognized that nationally the number of youngsters playing golf has been declining in recent years. This prompted him to find a way club professionals and other concerned industry members could be exposed to diverse ideas on the issue. This first Summit had 16 presenters making a 17 presentations.